Some nights you look in the fridge just when you're on the edge of hunger. You know you want dinner soon, but the only thing staring back at you is some frozen chicken that was supposed to have thawed, but decided not to. 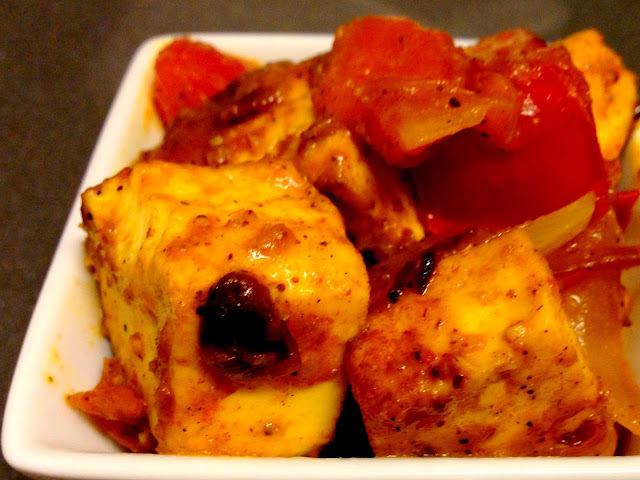 Those are the nights you need to have some paneer on hand - super easy, super quick, chop up some onions, some tomatoes, toss in some spices, and dinner is served! Cheese, onion, tomatoes - that's all you need, really. Heat the oil on high, add in the onions, then reduce heat to low and saute until the onions start caramelizing. Add in the ginger-garlic paste and saute for 3-4 minutes. Increase the heat to medium. Add in the paneer cubes, and sprinkle the spices on top. 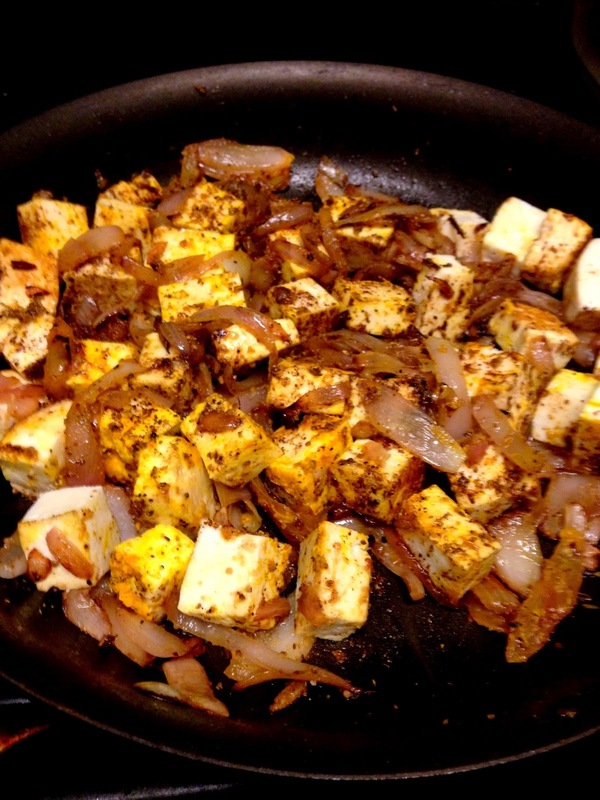 Stir so that all the paneer cubes are nicely coated in the onions and spices. 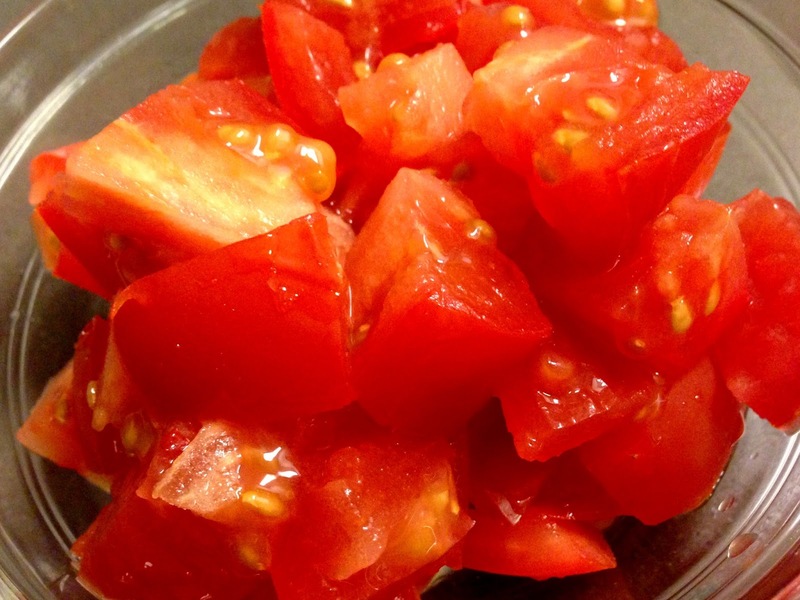 Stir in the tomatoes. If you had some frozen peas on hand, you could throw those into the pan too. 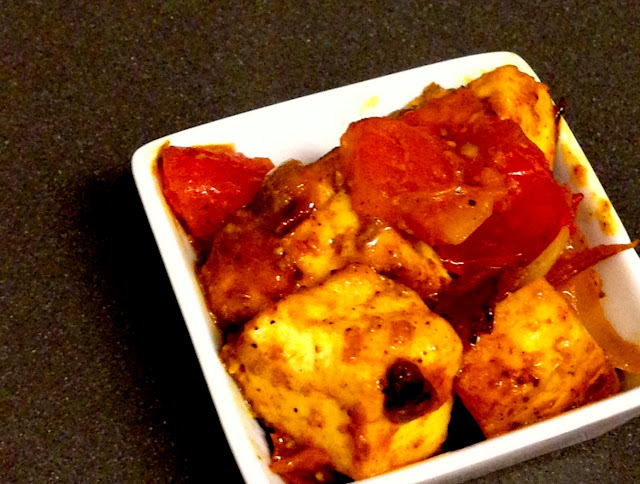 Simmer for 8-10 minutes or until the paneer cubes start getting brown. Take off the heat and serve piping hot.